Tenders are promoted under the current European Commission’s State Aid Guidelines as market-oriented solutions for the allocation of renewables support. Member States have a strong incentive to adopt the auction model to deliver their 2030 renewable energy objectives. This represents a major trend towards the alignment of renewables support systems throughout Europe in the context of the Single European Electricity market. 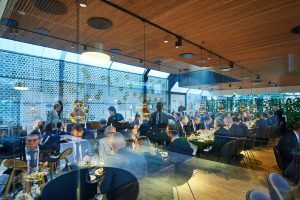 Hosted by ING Wholesale Banking Germany, the VIP finance lunch is an excellent opportunity to network and exchange best practices with high-level stakeholders in the wind sector. In this session, European experts from the main companies behind Europe’s wind energy deployment will exchange views and lessons on key auction design elements, market impacts and long-term implications on investors and lenders. What are the price effects seen in the early adaptor markets? What impacts will there be across the wind energy supply chain, competition and number of projects going forward? Join finance and industry experts at an exclusive (on-invite only) seated lunch, and share your opinion with the key leaders of the industry during and after a panel session chaired by Darius Snieckus, Editor-in-Chief, Recharge. Attendance is by invitation only and is only open to people who are registered for either WindEnergy Hamburg or WindEurope Summit 2016.
Financing is a key topic at WindEurope Summit 2016 – check out the conference programme for the full range of sessions on offer. ING Wholesale Banking Germany, with its registered office in Frankfurt am Main, is a part of the global Wholesale Banking Network of the ING Group, with branches in over 40 countries. ING Wholesale Banking Germany offers banking services for large multinational corporate clients, banks, insurance companies and other institutional investors.